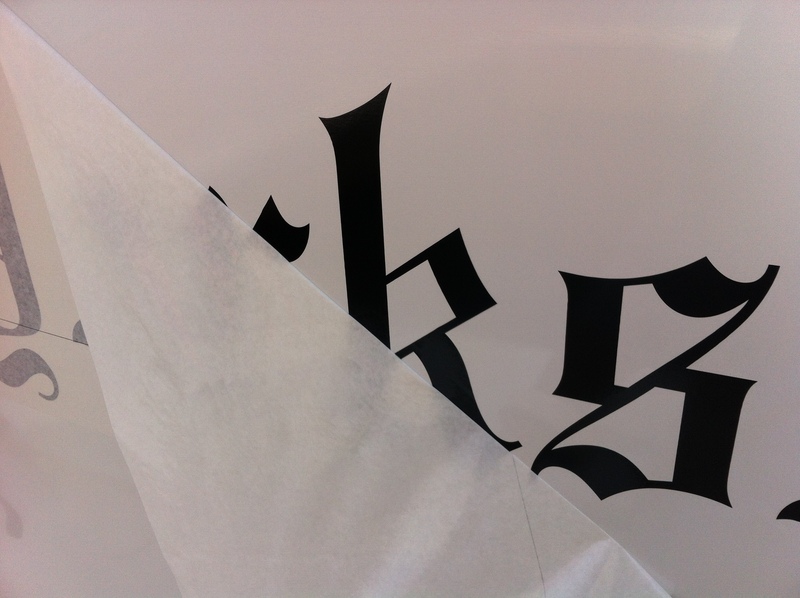 You are currently browsing the Design Dynamics blog archives for April, 2014. 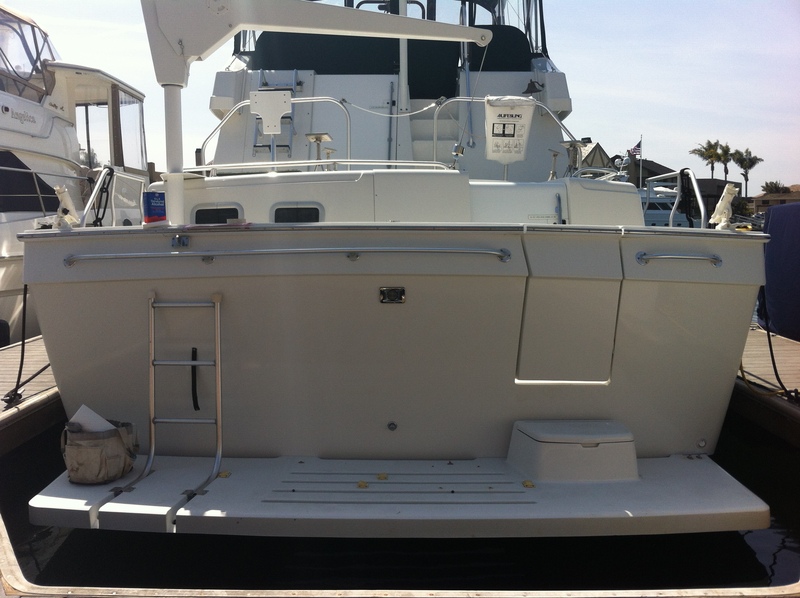 Hi, my name is Grant Barrett Iv’e been doing boat names now with Design Dynamics for 6 going on 7 years, and proud to be a part of the few who work in this area of our industry. 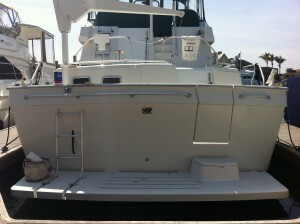 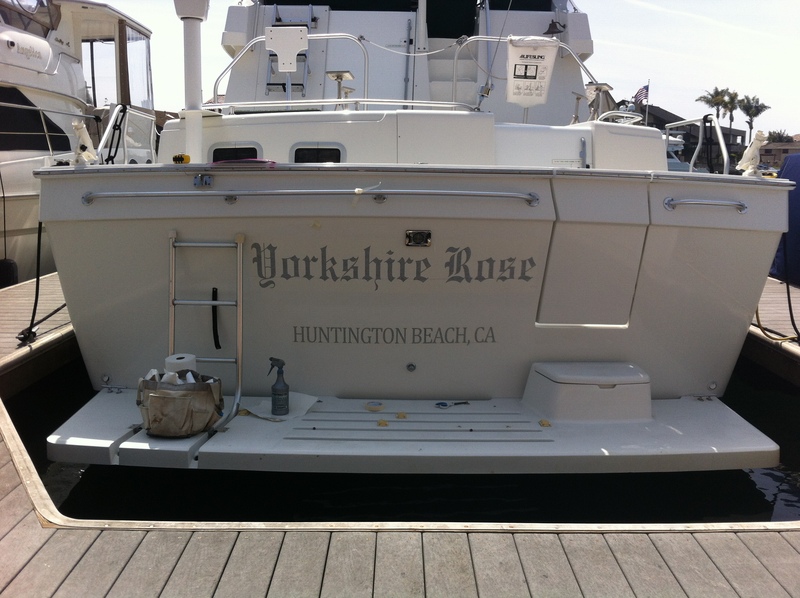 I recently installed a boat name for a repeat customer and wanted to share my thoughts on both names. 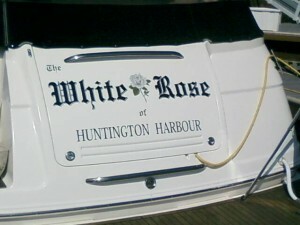 The first install was in 2009 for “The White Rose” the design and layout fit just right on the transom, it looked like the cover of a an old story book, which the Customer was very satisfied with. 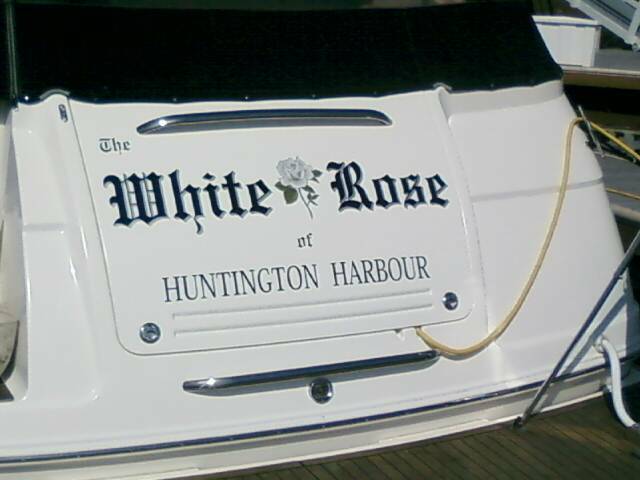 Call me old fashion, but I enjoy the rare occasion an owner employs a rare font like Gothic script with good layout & artwork, it gives the boat a classic and distinguished presence. 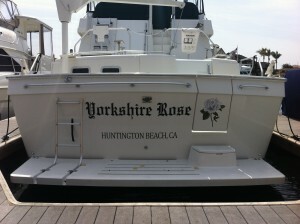 This time around 2014 the customer had bought a new boat and had changed the name to “Yorkshire Rose”. 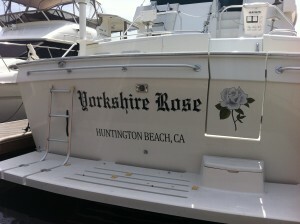 Time for some history: Once I saw the name it finally had clicked “The White Rose” is the Yorkshire Rose in England, and is very famous for battling its opposite the “Lancaster Rose(Red Rose)” of Lancaster in the War of the Roses, which much later mixes to become the Tudor Rose of Henry VIII/Elizabeth I….. the rest is history. After I completed the installation I finally had the opportunity to speak to the owner, and it turned out she was from Yorkshire, and was surprised that I knew the meaning behind the Rose or Roses’s. 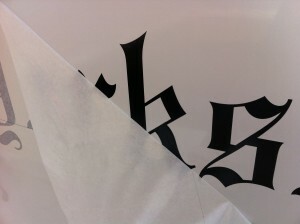 In conclusion, she was very pleased with the outcome, and it was a pleasure to work on a name that reflected its owner.